Motivation: Circular RNAs (circRNAs) are a poorly characterised class of molecules that have been identified decades ago. Emerging high-throughput sequencing methods as well as first reports on confirmed functions have sparked new interest in this RNA species. However, the computational detection and quantification tools are still limited. 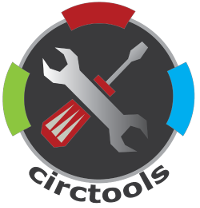 Results: We developed the software tandem, DCC and CircTest. DCC uses output from the STAR read mapper to systematically detect back-splice junctions in next-generation sequencing data. DCC applies a series of filters and integrates data across replicate sets to arrive at a precise list of circRNA candidates. We assessed the detection performance of DCC on a newly generated mouse brain data set and publicly available sequencing data. Our software achieves a much higher precision than state-of-the-art competitors at similar sensitivity levels. Moreover, DCC estimates circRNA vs. host gene expression from counting junction and non-junction reads. These read counts are finally used to test for host gene-independence of circRNA expression across different experimental conditions by our R package CircTest. We demonstrate the benefits of this approach on previously reported age-dependent circRNAs in the fruit fly. Availability: The source code of DCC and CircTest is licensed under the GNU General Public Licence (GPL) version 3 and available from https://github.com/dieterich-lab/DCC and https://github.com/dieterich-lab/circ-test. New manuscript is out – MOV10 Is a 5′ to 3′ RNA Helicase Contributing to UPF1 mRNA Target Degradation by Translocation along 3′ UTRs. MOV10 Is a 5′ to 3′ RNA Helicase Contributing to UPF1 mRNA Target Degradation by Translocation along 3′ UTRs. Gregersen LH1, Schueler M1, Munschauer M1, Mastrobuoni G1, Chen W1, Kempa S1, Dieterich C1, Landthaler M2. RNA helicases are important regulators of gene expression that act by remodeling RNA secondary structures and RNA-protein interactions. Here, we demonstrate that MOV10 has an ATP-dependent 5′ to 3′ in vitro RNA unwinding activity and determine the RNA-binding sites of MOV10 and its helicase mutants using PAR-CLIP. We find that MOV10 predominantly binds to 3′ UTRs upstream of regions predicted to form local secondary structures and provide evidence that MOV10 helicase mutants are impaired in their ability to translocate 5′ to 3′ on their mRNA targets. MOV10 interacts with UPF1, the key component of the nonsense-mediated mRNA decay pathway. PAR-CLIP of UPF1 reveals that MOV10 and UPF1 bind to RNA in close proximity. Knockdown of MOV10 resulted in increased mRNA half-lives of MOV10-bound as well as UPF1-regulated transcripts, suggesting that MOV10 functions in UPF1-mediated mRNA degradation as an RNA clearance factor to resolve structures and displace proteins from 3′ UTRs.